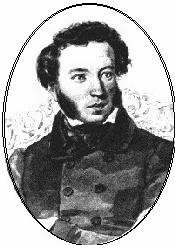 ﻿ Poetry Lovers' Page - Aleksandr Pushkin: "Oh, Rome -- a Proud Land..."
You are here: Home » Russian Poets » Aleksandr Pushkin » "Oh, Rome -- a Proud Land..."
It'll come the trial’s day -- a hammer and an anvil. Your crown, in the dust, will never rise again. And flooding all your land as waters of the streams. "By freedom Rome’s bred, by slavery it’s felled."